Looks like we have yet another reason to be proud of our little town! 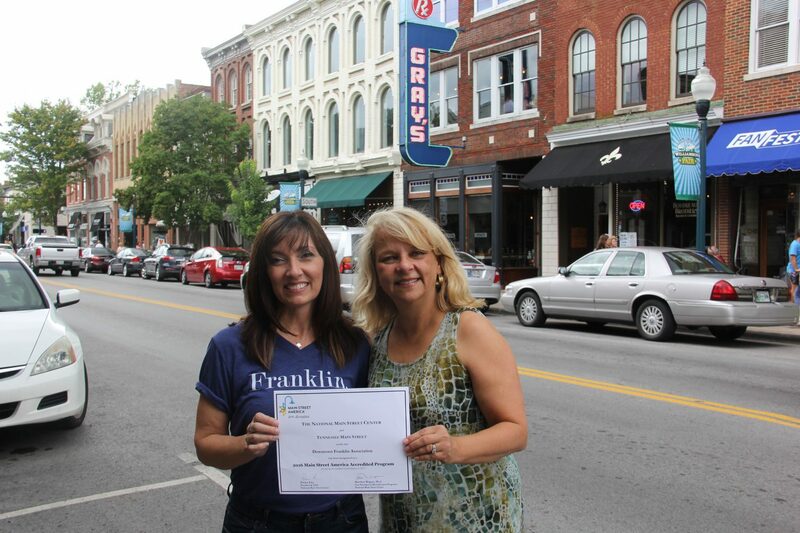 The Downtown Franklin Association has been designated as an accredited Main Street America™ program for meeting rigorous performance standards set by the National Main Street Center. Each year, the National Main Street Center and its Coordinating Program partners announce the list of accredited Main Street America programs in recognition of their exemplary commitment to preservation-based economic development and community revitalization through the Main Street Approach®. Being granted this honor was no easy task! The Downtown Franklin Association has worked tirelessly for over thirty years to uphold the rich history and culture of our beloved town, while promoting tourism, commerce and economic growth. The organization and its members–made up of local business owners and merchants–have done it by following the four-point program of the National Main Street Center of the National Trust for Historic Preservation: Organization, Design, Promotion and Economic Restructuring. Main Street America has been helping revitalize older and historic commercial districts for more than 35 years. Today, it is a network of more than 1,000 neighborhoods and communities, rural and urban, who share both a commitment to place and to building stronger communities through preservation-based economic development. Main Street America is a program of the nonprofit National Main Street Center, a subsidiary of the National Trust for Historic Preservation.